In so saying, the Senators demonstrated clear understanding of a critical truth about climate change and about the difference between fundamental solutions and symptomatic ones. That’s a difference we are all familiar with in everyday life. We know that sometimes we can make symptoms disappear for a while, say by taking a pill for a headache. But to break out of a pattern of headaches we may need to address fundamental causes – not enough water, sleep, exercise, or healthy food, perhaps, or too much stress. Sometimes we need symptomatic solutions. In the immediate aftermath of Hurricane Sandy, symptomatic fixes were critical, and, because of the embedded momentum of climate change, investing in preparation for future extreme events is needed as well. 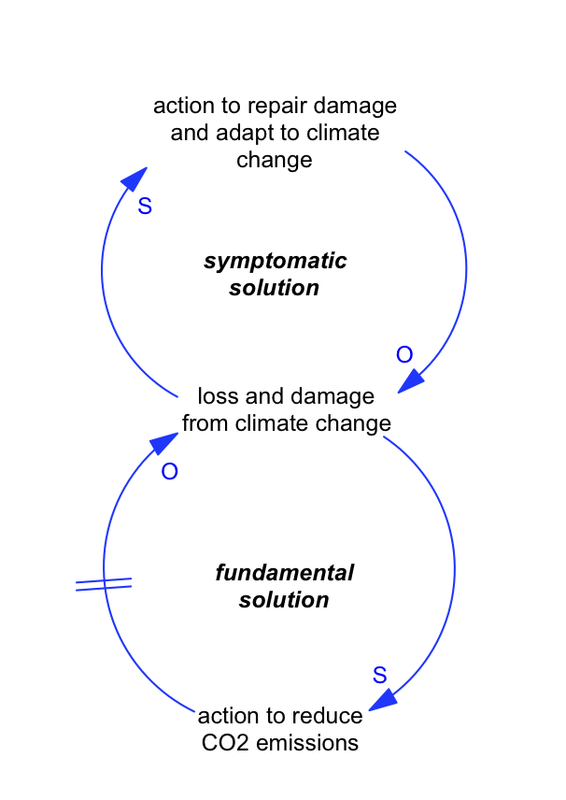 But simply managing symptoms while ignoring underlying root causes is a classic systems trap, and one that will leave future generations with a climate problem too large to adapt to. That’s what makes the letter from this group of Senators so important. Their call to President Obama to place emissions standards on existing power plants is a practical and a moral imperative and good systems thinking, as well.